The Arizona Legislature has yet to discuss online gambling. No bill has even been introduced to a committee as of yet. The lack of a commercial gaming industry may be the reason for this. Online gambling is not allowed on reservations either. 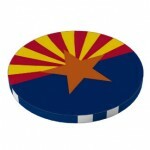 While Arizona residents are waiting for regulated online poker their favorite game is still available. Bovada is our favorite online poker room for Arizona players. It is the largest US-friendly online poker room. It is also three times larger than second place. Cashouts are processed in as little as one day, even to U.S. customers. At Bovada, players can enjoy hundreds of Texas Hold’em, Omaha, Omaha High/Low, Seven Card Stud and Seven Card Stud High/Low games. The software at Bovada is top quality, though it does have some annoyances. Some of these annoying features are purposely included. Bovada removed screen names from the tables. It also removed full tables and waitlists from the lobby. Players that pass on Bovada typically choose to play at Carbon Poker, which is a member of the Merge Gaming Network. Carbon Poker offers the best software available to U.S. players. It also offers a respectable table selection, especially to players looking to play a game besides Texas Hold’em. They also have anonymous registration for serious Sit n Go players. Arizona is well known for its live poker. There are 15 poker rooms located within the State. All of the poker rooms are located in the central or southern portion of Arizona and are on tribal land. Casinos may also offer slot machines, video poker and table games that require skill. While many poker rooms are located in rural areas, the serious poker rooms are located around Phoenix and Tucson. The bet limit in Arizona is $500. This means that games advertised as no limit actually have a cap bet or raise of $500. Most games in Arizona fall well below the bet limit. However, as any person who plays seriously in this state, the games are actually quite juicy and the No Limit/Cap tables are filled up at all hours of the day and night – especially on the weekends. Where Can You Play Live in Arizona? Most major poker rooms are located near Phoenix or Tucson. That is where the major population bases are within the state itself. There also tons of private bar leagues that are constantly running every week in numerous cities around Arizona. Talking Stick – Talking Stick is the largest poker room in Arizona. With 50 tables, it is also one of the largest poker rooms in the country. Players can find the widest variety of poker including $500 cap no limit with blinds up to 5/10, as well as Omaha High/Low. There is a daily tournament as well. Talking Stick is the home of the Arizona State Poker Champion each year. Gila River Casino Vee Quiva – Gila River Casino Vee Quiva is a 30-table poker room that offers nonstop action. Players will enjoy No Limit Texas Hold’em with a $500 cap. Blinds range between 1/2 and 5/10. There are also four tournaments each week. Gila River Casino Wild Horse Pass – Gila River Wild Horse Pass spreads 25 tables of mostly Texas Hold’em action. There is also a tournament each day Monday through Thursday. The Tucson poker market is much smaller than the one in Phoenix. There are still two respectable poker rooms located near Tucson. Desert Diamond is a 19 table poker room that specializes in No Limit and Spread Limit Texas Hold’em. There are also three tournaments each week. Casino Del Sol offers 13 tables with two daily tournaments.